The struggle for electric vehicles to gain legitimacy in a world dominated by supersized SUVs and overbearing big rigs is something of a David and Goliath story. The underdog just landed a blow right between the eyes of America’s major car manufacturers. In April, Tesla became the most valuable automaker in the US, passing General Motors in total market value. GM has since regained the lead by a slim margin, edging Tesla in market cap by a little more than a billion dollars. Still, the ability of a 15-year-old company to stand shoulder-to-shoulder with the venerable Detroit automakers is extraordinary. It’s a reflection of the broader picture of how alternative energy and renewables have risen to prominence. It would seem to be no coincidence that at a time when electric vehicles appear poised for widespread adoption, solar and renewable energy have become cheaper than coal. Tesla is set to roll out its most affordable EV to date later this year—the Model 3, retailing at $35,000 before tax breaks. The Model 3 reportedly has more than 400,000 pre-sales. There are only about 540,000 EVs on US roads today, according to report called “The State of EV Charging in 2016,” produced by electric car charging company ChargePoint. The release of the Model 3 alone promises to nearly double the number of electric vehicles (including hybrids). That’s not quite as impressive as it first sounds considering there were more than 260 million vehicles in the US as of 2014, according to the Bureau of Transportation Statistics. In other words, EVs will still account for less than one percent of all vehicles. There is potential for EVs to reach a market share of 30 percent or greater by 2030, but that will require radical shifts in environmental and regulatory policy, according to John Axsen, an associate professor at Simon Fraser University in British Columbia who studies green technology, consumer behavior and environmental policy. There are very few places where such policies exist. For example, Norway has reached 25 percent market share for EVs because it has huge taxes on fossil fuels, huge taxes on conventional vehicles, and very substantial financial and non-financial incentives for EVs, according to Axsen. California is leading the way in North America. Its zero-emissions vehicle (ZEV) mandate requires automakers to sell a certain percentage of electric vehicles. Quebec has recently followed suit with its own ZEV mandate. “I believe that if California did not have this policy, Tesla would never have existed (and Toyota probably never would have developed the Prius, for that matter),” Axsen says. 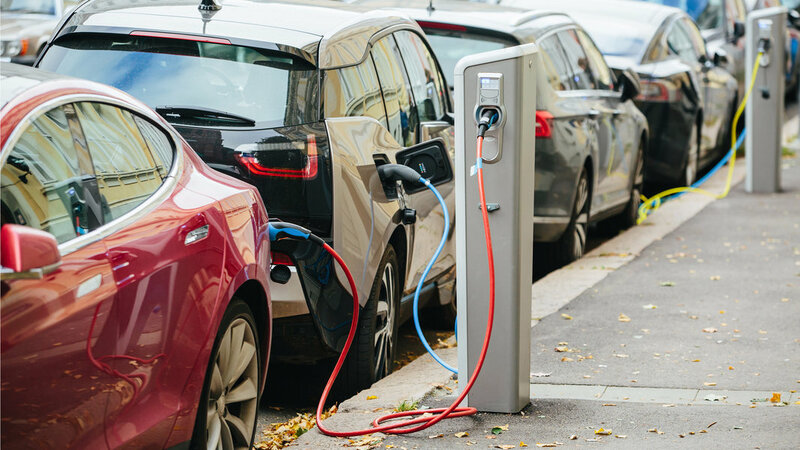 Earlier this year, California’s utilities submitted plans to collect up to $1 billion from customers to expand the state’s EV infrastructure. If approved, California would add more than 10,000 new charging stations, as the state pushes to put a million EVs on the road by the end of the decade. The Guardian reported last year that the European Union has created a draft directive requiring every new and refurbished home in Europe to be equipped with a recharging point. Another impediment to EVs reaching a tipping point is supply, according to Axsen. There are relatively few makes and models available, particularly in truck and van classes. “And then, many car dealerships are not carrying these EVs in their inventory, and research shows that many dealers in Canada and the US are not even trying to sell the EVs to customers,” he notes. Most of the major US automakers manufacture EVs or hybrids, with more than 55 models on the market. There are also a number of emerging startups vying to become the next Tesla. Some of the best-funded are in China, while a company called Lucid Motors out of California (of course) has been touted as a potential challenger to Tesla. Its luxury model, still not in full production, boasts 1,000 horsepower and can go 400 miles on a single charge. Elon Musk and Tesla, meanwhile, are not satisfied with just building the world’s most advanced EV compact cars and sedans. The company recently announced it would next tackle a mini-bus, pickup truck and even semi-truck. The latter would be a particularly disruptive technology, especially if Tesla outfits it with the company’s Autopilot system. Of course, there are quite a few technological roadblocks the company will need to address, not least of which is developing a battery system that can handle a heavy, long-haul 18-wheeler rig. A company not named Tesla but called the Nikola Motor Company thinks it has the answer by using hydrogen fuel cells to power a fully electric 18-wheeler. It claims its Nikola One will have a range of 800 to 1,200 miles while delivering 1,000 horsepower. And just a few days ago, Toyota also announced plans for a hydrogen cell-powered big rig, in a new race to produce the first zero-emission 18-wheeler. “Electric vehicle technology is getting better, and a few regions are showing the market potential,” Axsen says, such as California, Norway and the Netherlands. Both European countries plan to phase out fossil fuel vehicles by 2025. Despite such successes, Axsen emphasizes that without changes in policy, the EV market will likely continue to hover around one percent, perhaps hitting 10 percent by 2030. “The strongest policies, which encourage automakers to sell a wide variety of EVs, can push market share as high as 30 to 45 percent by 2030,” he adds. The current US administration’s efforts to rollback Obama-era fuel economy rules would seem to imply that policies favoring EVs will remain status quo at best for now. That could mean China and Europe will speed past the US and Canada in the widespread adoption of electric vehicles. While Axsen doesn’t share Musk’s unfettered optimism—possibly because he is not beholden to stockholders—he does think the drive to a zero-emission transportation system is navigable in the US and Canada. “Though our current policies are not nearly up to the task, governments have proven options at their disposal that will get us where we need to go,” he wrote previously. Formerly the world’s only full-time journalist covering research in Antarctica, Peter became a freelance writer and digital nomad in 2015. 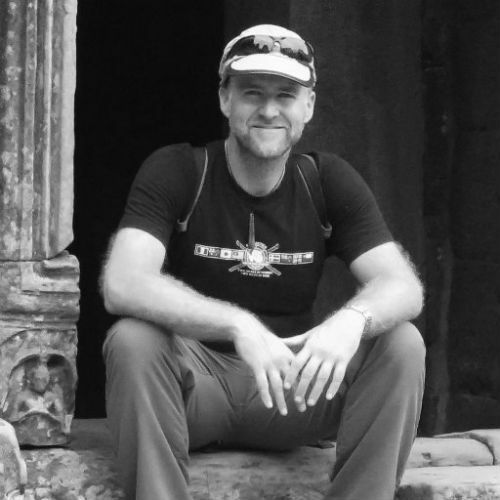 Peter’s focus for the last decade has been on science journalism, but his interests and expertise include travel, outdoors, cycling, and Epicureanism (food and beer). Follow him at @poliepete.